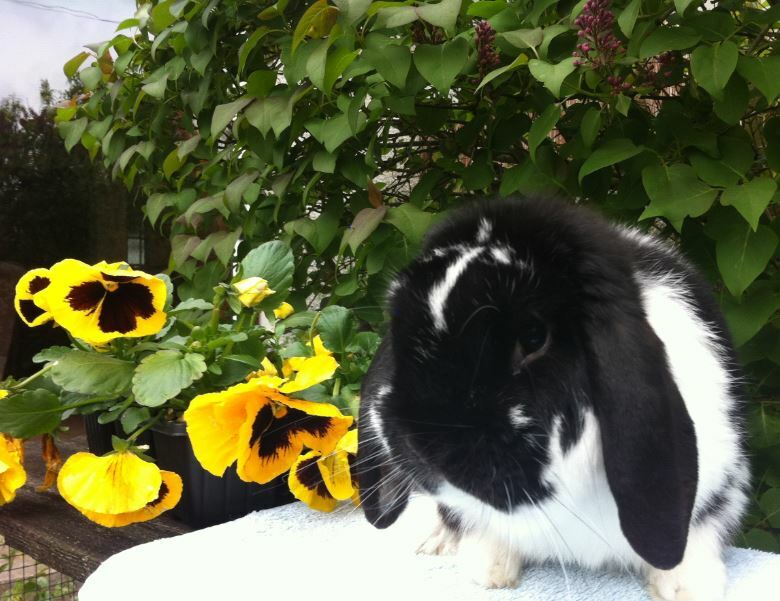 Samuel - stunning black butterfly dwarf lop buck who has been very successful at rabbit shows across the UK. Samuel is the perfect weight for a dwarf lop, 5lb 4ozs. Dwarf lops are dwarf in comparison to the French lops who weigh 10-15 lbs. Terry - our beautiful orange mini lop buck. 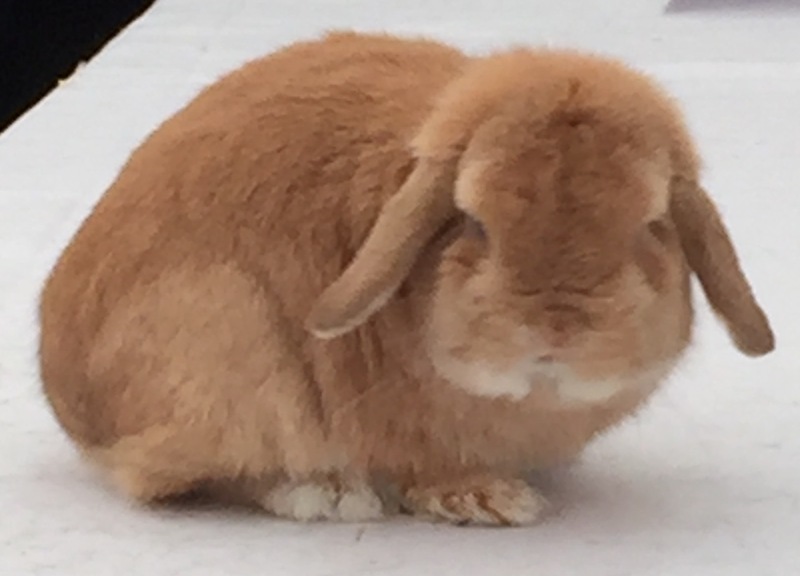 Terry was best orange mini lop two years running at the 5 star Bradford show. Terry has such a sweet personality and is tiny, 2lb 10ozs, which is really small for a mini lop. Show weight for mini lops is 3lb 8ozs. Rory and Martha - a beautiful bonded pair of rabbits who love to groom each other. Rory is an orange dwarf lop and Martha is an orange butterfly mini lop. We are happy to help anyone find a friend for their lonely rabbit ! 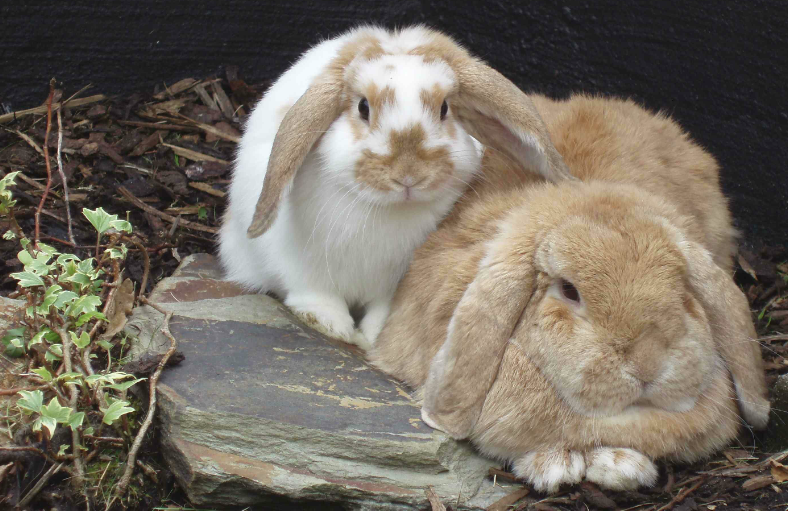 Welcome to the website for Regalops Stud, breeder of mini lop and dwarf lop rabbits based in Edinburgh, Scotland. We specialise in butterfly pattern mini lops and dwarf lops in orange, chocolate otter, sooty fawn and black. As members of the British Rabbit Council (since 2003), Scottish Rabbit Club, National Mini Lop Club and the National French and Dwarf Lop Club, we pride ourselves in keeping and breeding show quality, friendly mini lops and dwarf lops fed on Science Selective Rabbit food.